Deadbird Records recently announced their own unofficial SXSW party that will take place March 18 at Bar 96 in Austin from 3:00 pm – 1:00 AM. 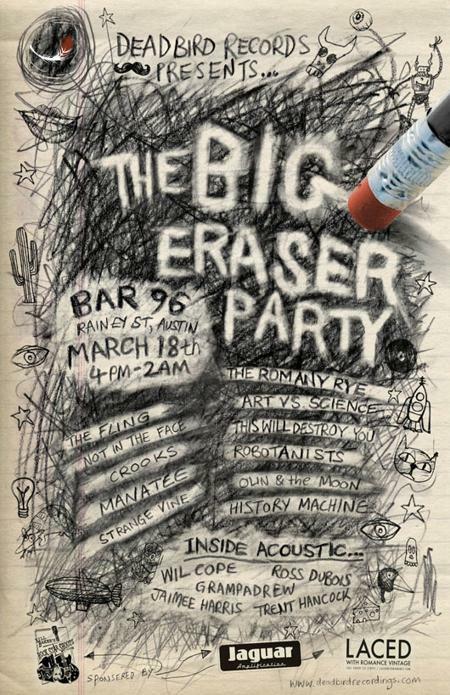 Known as The Big Eraser Party, featured acts among the eclectic mix of performers at the event include History Machine, Manatee and Strange Vine. You can RSVP for the party here. 1:00 am – History Machine.